With great advancements in the medical field and surgery, an impressive 90 percent of infants born with a congenital heart condition are able to survive until adulthood. 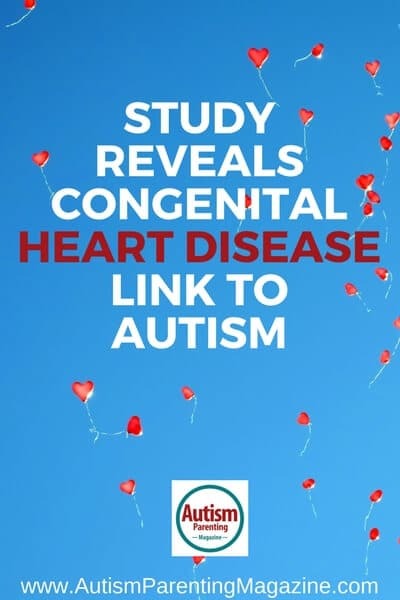 The majority of these infants, however, often suffer from health problems including heart arrhythmia, neurodevelopmental deficiencies, autism, and respiratory issues. According to Martina Brueckner, genetics and pediatrics professor at Yale School of Medicine, the scientific community is good at “plumbing the patient” but not necessarily in fixing the child. There are several genetic mutations that are closely linked to congenital heart disease, or CHD, which have been discovered by researchers at the Brigham and Women’s Hospital. The results are published in Nature Genetics. The study was completed through the analysis of the genes of 2,871 CHD patients and their immediate families. Brueckner and the group from Pediatric Cardiac Genomics Consortium discovered the correlation between birth defects and the aforementioned medical conditions. The study conducted was able to identify mutations of the FLT4 gene which resulted in Tetralogy of Fallot, which is a complex malformation that is present with cyanosis or the blue baby syndrome. Another discovery by researchers was the mutation on the gene encoding myosin. This is a protein which is highly expressed during development and is accounted for 11 percent of Shone’s syndrome. This condition affects the four parts of the left side of the heart. Researchers also discovered several de novo mutations in a number of genes, particularly those that modify chromatin. Such mutations are often found in children who have congenital heart disease or other congenital defects or neurodevelopmental concerns. These genes had been linked to autism. Further analysis in the study also revealed that there are respiratory illnesses found in patients who suffer from congenital heart failure that are linked to defects in cilia, those hair-like structures found on the cells’ surface that perform several biological functions. Brueckner expressed frustration in being able to see one patient recover well while another patient with the same heart defect struggled. A study of this nature, she believes, can help in understanding why this occurs and what can be done toward personalized treatment. These findings could help significantly when counseling the patients’ families about the risk of CHD recurrence. Congenital heart disease is said to affect 1 percent of babies; its genetic roots are complex and quite difficult to identify. The entire study used the exome approach which was pioneered by Richard Lifton, a former Yale geneticist and co-senior author of the study. The approach was combined with a statistical analysis which was developed by Sheng Chih Jin and colleagues at the Harvard University and the University of Wisconsin. Dr. Christine Seidman, director of the BWH Cardiovascular Genetics Center and investigator at the Howard Hughes Medical Institute, said the discoveries of the study teach us truths about the fundamental biology in which the human heart is built on. She added that this finding also has clinical implications as detecting such mutations may help alert parents and patients about any possible risks that can be managed and addressed as early as possible. This includes information on the risks involved for a second child. Moreover, Seidman said that the whole genome-sequencing may be the most effective means of detecting genetic variants that cause birth defects. This may result to changes in a child’s short- and long-term care. According to a study conducted by author Catherine Limperopolous, PhD, and some colleagues at the Children’s National Health System, it is important for a functioning body to have a solid and extensive neural network. Infants with congenital heart disease have the tendency to have weaker connections within their brain hubs. This is why they struggle with some neurodevelopmental disabilities affecting their learning, executive functions, social behavior, and motor functions. They are also seen to have lower birth weights and AP-GAR scores compared to the healthy infants.